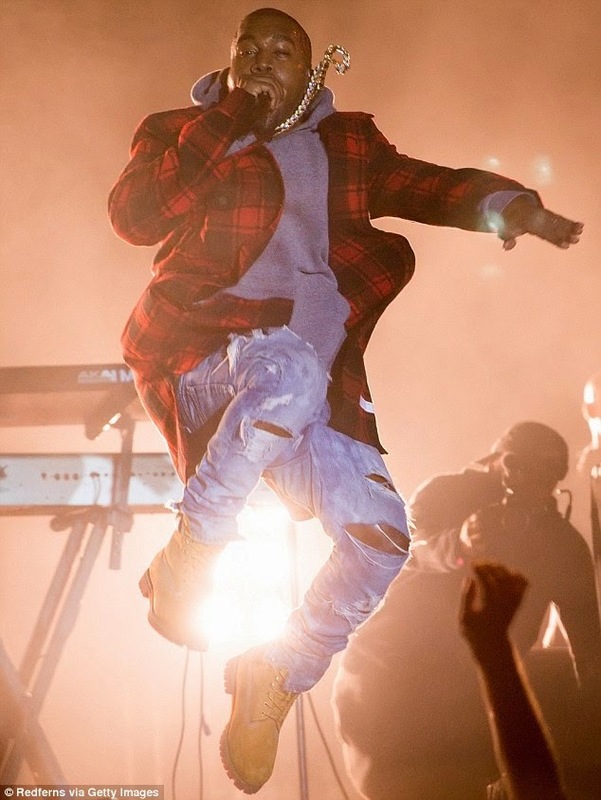 Glowy: Kanye West in Timbaland Boots. 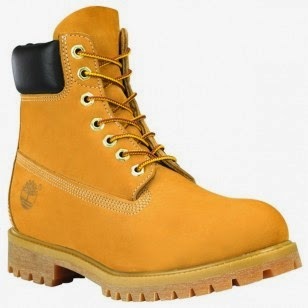 Kanye West in Timbaland Boots. Kanye West was a special guest last night for rapper Common’s AAHH Fest 2014 on sunday in Chicago. the rapper wore an Off-White C/O Virgil Abloh red plaid shirt layered over a grey hoodie, ripped blue jeans, and Timberland boots. Do you guys like his look?